Sounds like you're in for a lovely weekend. We're off to the art gallery on Saturday arvo. We've been inspired by the book 'What Luke saw' (or something like that, it was a library book and great but I should write these things down!). Otherwise, keeping it quiet and homebased. Lovely! Sounds like my kinda weekend. Those cupcakes look delish. 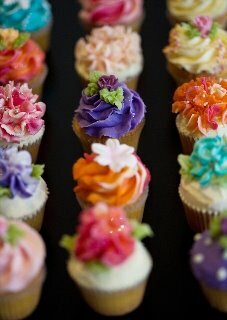 are these cupcakes from the cupcake room in leichhardt on balmain road? My very favourite....how I miss them!